As part of my research this week into game design, more specifically that of narrative-focused games, I decided to play through the acclaimed game Firewatch (2016) by Campo Santo. 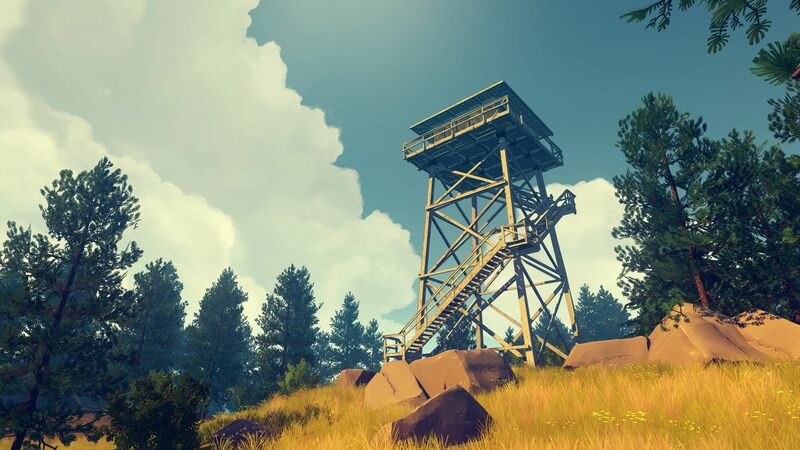 "Firewatch is a mystery set in the Wyoming wilderness, where your only emotional lifeline is the person on the other end of a handheld radio." 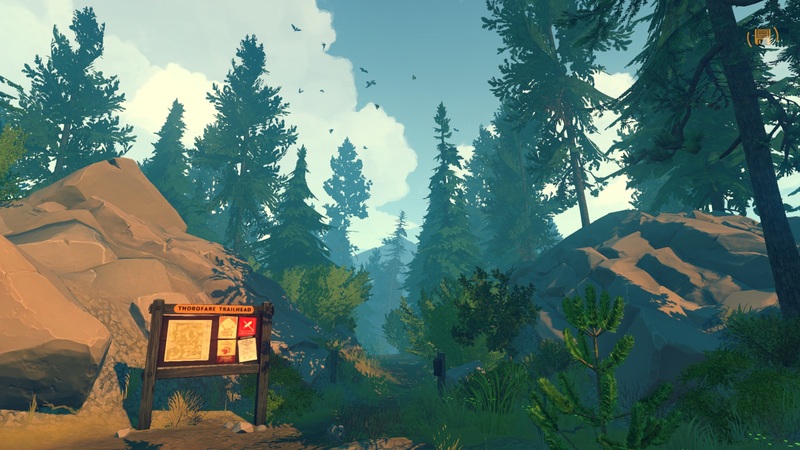 Firewatch is an interesting game that uses dialogue interaction through a radio to push forward the narrative of the game, this is done through the player calling in significant points of interest on the radio where the player then receives guidance or objectives. There is no up close human interaction in the game, nearly all of the games character interaction happens through the radio with a character called Delilah, your character's boss. With Firewatch each dialogue option can have a slight effect on the plot, it is largely linear with one ending but the actual plot points and some story details will differ slightly. An example of this is at the start of the game, where the game starts with a prologue explaining the background of the player's character 'Henry' where the player is given options like the breed of dog him and his wife got before and how Henry perceives his own physique, each decision factors into the character of Henry and affects how he talks and how he is spoken to, this is a theme which continues through the game. The dialogue instead serves to help place the character in the world and help understand their thought processes, as well as helping to shape the character in different ways. Without the choice the game would just be a linear adventure and would be uninteresting, the dialogue choices help to complete the characters and add a contextual motivation for their decisions, even though the plot might not deviate much as a result. This is a different take on narrative games, where the focus is on moulding the personality of a character as opposed to using decisions to create complicated branching narratives, this means the designer still has the control of the overall story beats but the player can interpret each part of the story differently. It presents a new, intriguing idea for how narrative-driven games can work in a linear fashion. Because the plot is quite linear it also uses a lot of misdirection to keep the player guessing on where the story is going, throwing in other plot points like government conspiracies, missing teens and the disappearance of a previous 'Lookout'. These plot points however don't often bear fruit and are fairly inconsequential when it comes to the end of the game, they don't matter as much as the core relationship between the player, Henry and Delilah. Another technique used for advancing the plot involves the jumping of time, which happens at certain points through the middle of the game. This done to establish how long Henry has been in his lookout post while using the contrast to the previous scenes to establish how the character dynamics are changing over time. Quick jump cuts are also in subtly building up tension and an unease over what is going on. 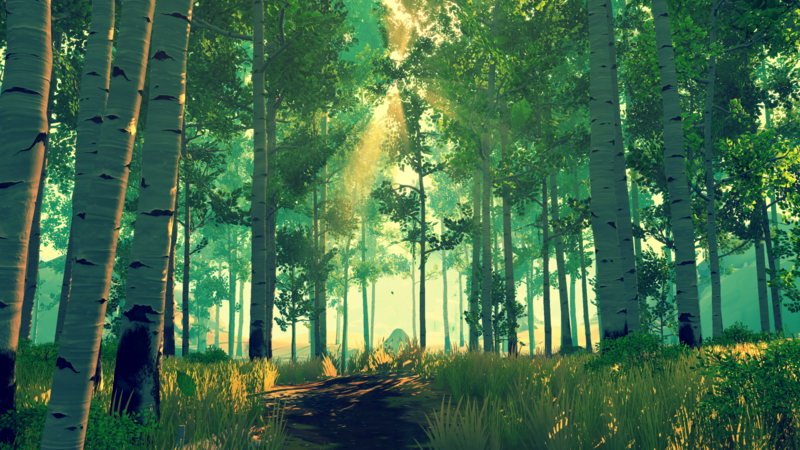 Firewatch does encourage a little exploration within it's world. The map essentially works similar to a classic point and click adventure map with linear paths leading around and interlinking with each other into different locations, with some areas blocked off until the player receives certain items like an axe or ropes at certain points of the story. There are also 'Cache Boxes' which contain extra snippets of backstory featuring two other characters called Dave and Ron, these are dotted around the map and sometimes key items for progression can be found in these boxes aswell as extra information that your map can be updated with. I really enjoyed this game and it has given me great insight onto some narrative techniques I can employ, next I will be covering Inside by Playdead before moving onto Oxenfree which I am playing at the moment. Past that I will do more of a breakdown of certain mechanics I found use looking into within each game I have played.